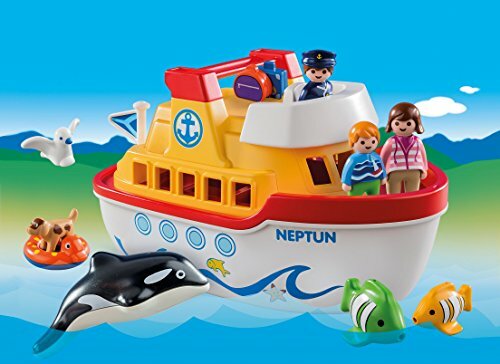 Features a Playmobil 1.2.3 ship that floats on water. Convenient carry handle between ships chimneys. The entire contents of the set can be stowed inside the ship. Includes two fish and a whale that can float on water.